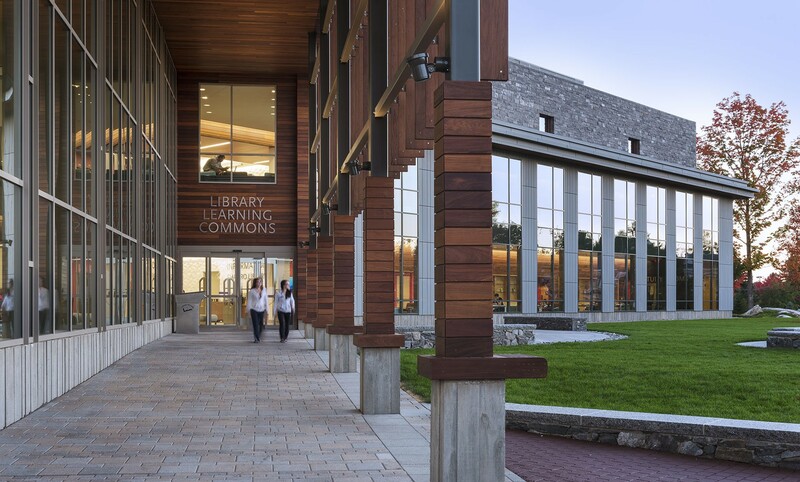 Working with the project architects, CRJA-IBI Group was hired by Southern New Hampshire University to locate and design a new library and learning commons that would foster 21st Century education. 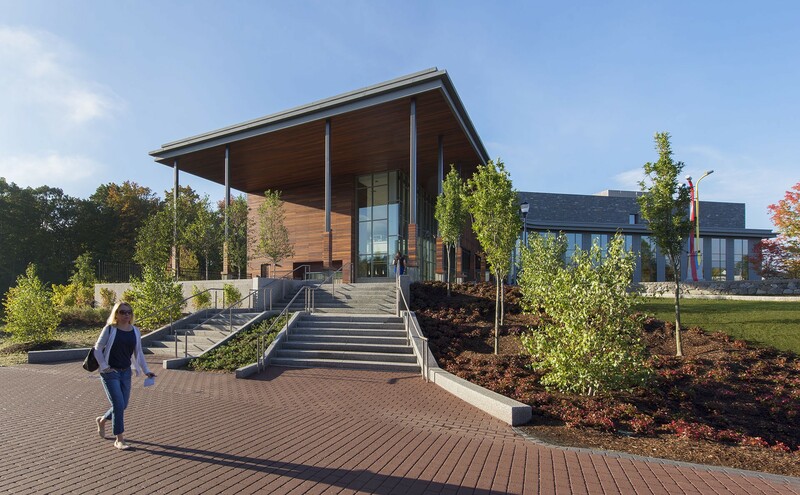 The siting of the new Library/Learning Commons Building is at the heart of the 300 acre main campus of Southern New Hampshire University in Manchester. 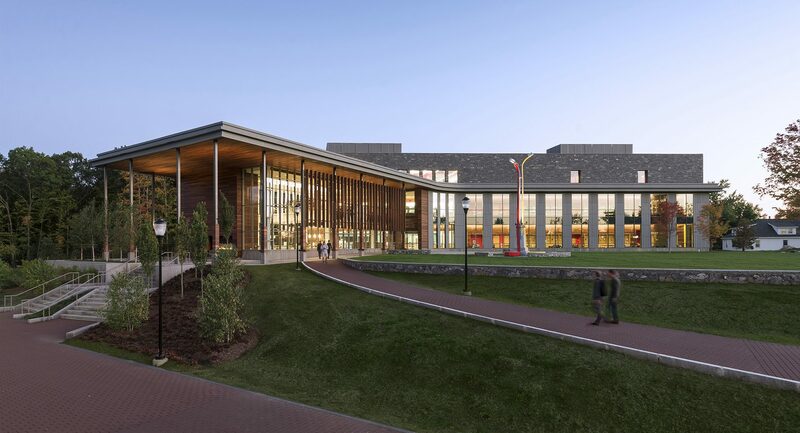 With the idea of establishing a new campus center, the Learning Commons was situated adjacent to the University’s new dining hall along the major pedestrian and vehicular spine of campus and atop a knoll. 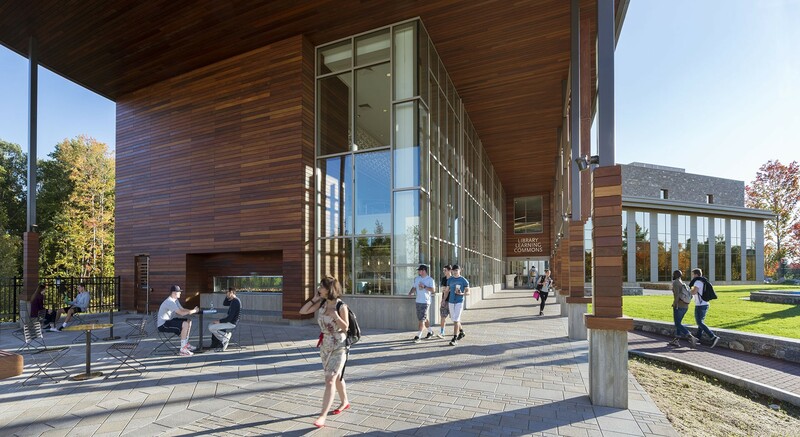 West-facing patios lend views from the Learning Commons across campus and gesture to the Merrimack River just beyond. Topographic changes on the project site made for unique opportunities in the landscape design. 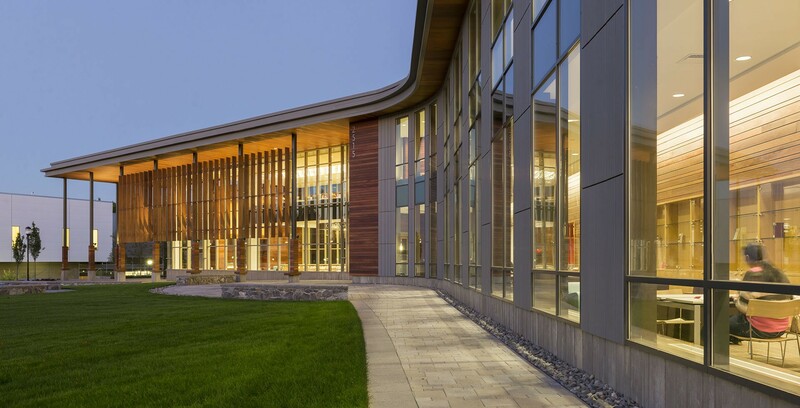 Surrounding the building, the design creates a broad lawn for students to gather, study and relax adjacent to the building, on a campus where outdoor gathering spaces are scarce. Narrow terraces—defined by stone walls crafted with local stone—step the site down to sidewalk and street level with pedestrian access routes cutting through. Stormwater on the sloping site is handled in exposed swales which can be used as educational components. 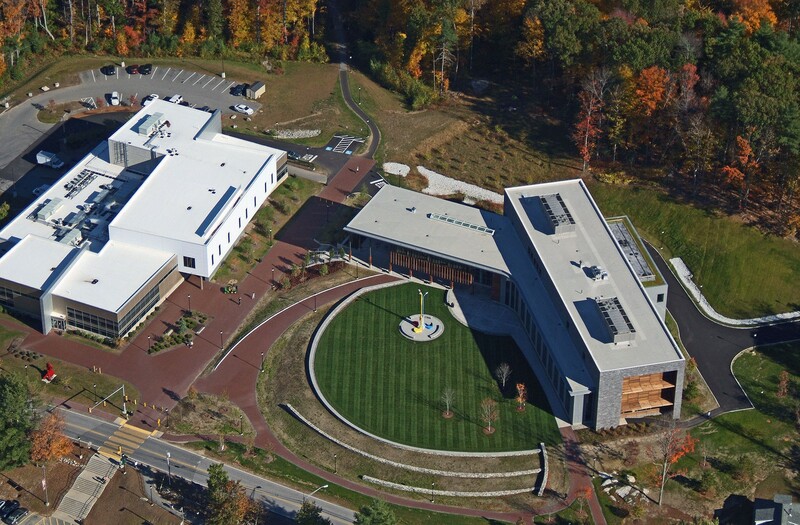 Meadow plantings and native species are used to tie the project site into the surrounding New Hampshire landscape. 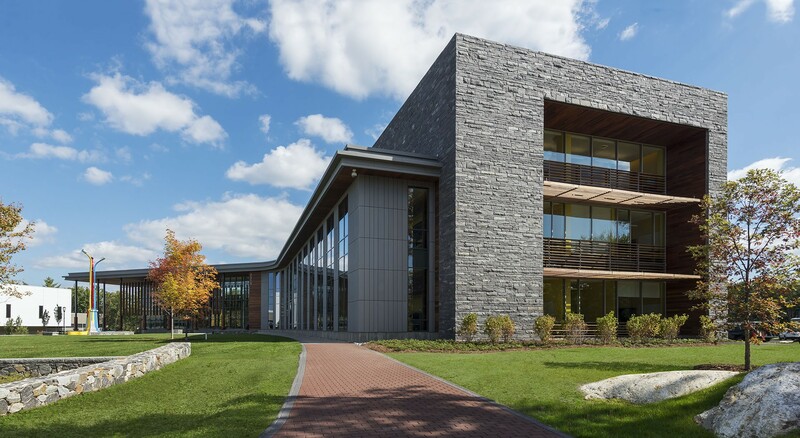 The use of stone, rolling topography and tree stands create defining features within the existing campus. 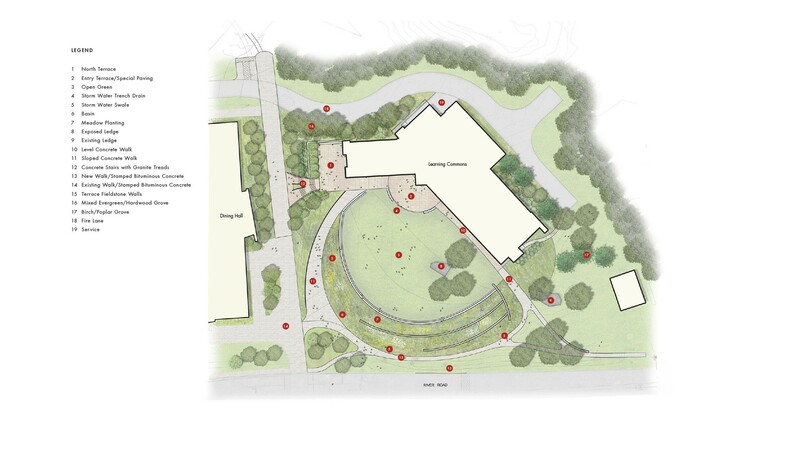 Existing features were preserved and enhanced to create a site that is cohesive with the existing University campus.